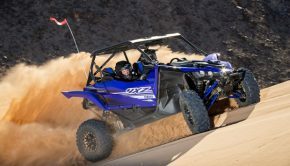 Teixeira Tech’s RZR XP 1000 and Turbo chromoly A-Arms, radius rods, trailing arm gusset kit, and billet sway bar links add ground clearance, strength, and rigidity. 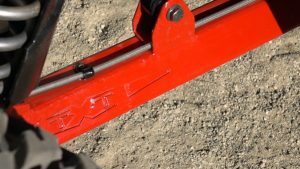 Looking to improve ground clearance and strength, RZR owners often upgrade their machine’s lower A-arms and radius rods. 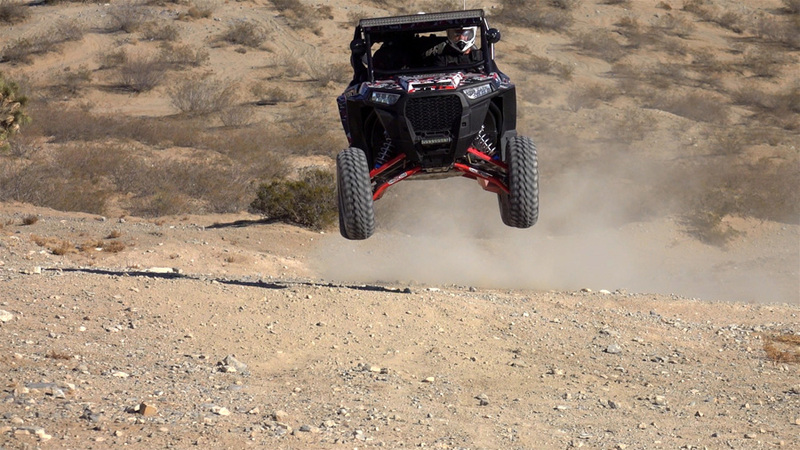 Riding in the rocky desert of Southern California, UTV on Demand test guru and CT Racing Engine’s owner, Allen Knowles, has wadded up his share of stock RZR control arms. He remedied this problem when he started using Teixeira Tech’s Xtreme Ground clearance lower A-arms and Radius Rods. With all the extra horsepower and acceleration provided by the Polaris RZR Turbo, Allen decided to have Teixeira Tech add nearly their full catalog of RZR chassis upgrades to our XP Turbo, looking to further improve rigidity and strength and reduce the chance of drama out on the trail. Teixeira Tech’s owner, Ed Teixeira, is a desert racer who understands the importance of building highly durable chassis components while keeping weight a serious consideration. To maximize the RZR’s strength, rigidity, and ground clearance, a complete set of Teixeira Tech’s XGC A-arms and Radius Rods were installed in addition to their Trailing Arm Gusset Kit and sway bar links. 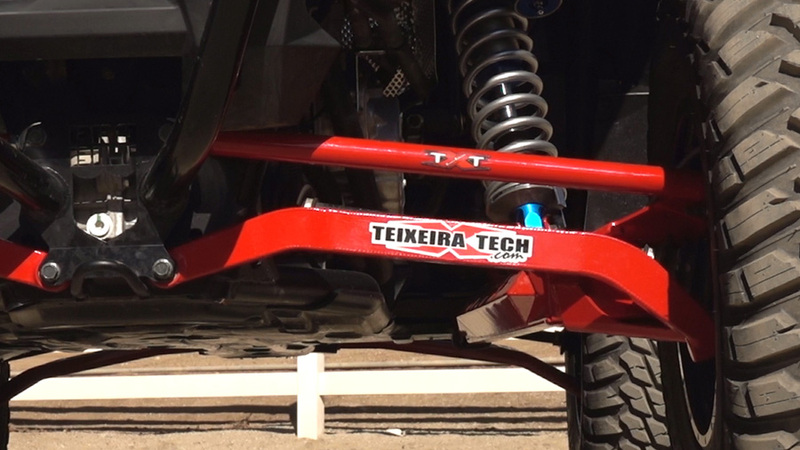 Teixeira Tech’s complete XGC front A-Arm set features their XGC lower A-arms. 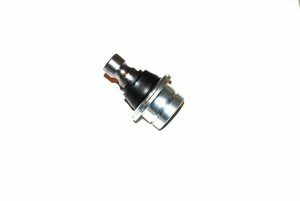 Unlike some of their competitors that build their chassis parts in China out of mild steel, Teixeira Tech parts are American made. Their A-Arms and Radius Rods are constructed of Tig-welded 4130 chromoly. The material is a bit more expensive, but it’s far stronger, allowing Teixeira to keep weight close to stock while greatly improving strength. Although they are definitely upgraded, Teixeira lists these arms and rods as stock replacements, meaning their geometry is unchanged, allowing you to run your stock shocks. The far more robust looking upper A-arms feature a boxed front section up front with a tubular rear half. 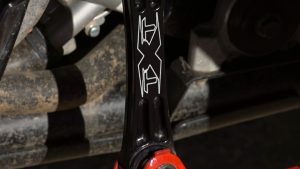 Teixeira Tech’s complete XGC front A-Arm set features their XGC lower A-arms. Their reverse gull-wing design maximizes ground clearance and they’re gusseted for added strength. The far more robust looking upper A-arms feature a boxed front section up front with a tubular rear half. While we’ve seen some mild steel aftermarket A-arms that weigh twice as much as stock, Teixeira Tech’s chromoly arms weigh a mere 3.5 pounds more than stock for the complete set. The upgraded upper ball joints press in from the bottom with their retaining clip located on the top of the A-arm. This is opposite and far superior to the stock design. We upgraded our A-arms with their optional Italian made Frap Ball joints. The upgraded upper ball joints press in from the bottom with their retaining clip located on the top of the A-arm. This is opposite and far superior to the stock design. This ball joint upgrade will also work on the stock upper A-arms if you are on a budget. The XGC Radius Rod kit includes Teixeira’s unique, triple plate, boxed XGC lower rods. Their boxed tubing features a front and rear plate, with a third plate stitch welded into the center. The XGC Radius Rod kit includes Teixeira’s unique, triple plate, boxed XGC lower rods. Their boxed tubing features a front and rear plate, with a third plate stitch welded into the center. Allen has straightened out several sets of other manufacturers’ aftermarket, tubular, mild steel, high clearance, radius rods, even the gusseted ones. He has been beating on Teixeira’s XGC lower rods on several cars over the past couple of years with zero failures to report. They’re really that much stronger. Teixeira’s XCC Radius Rod set also includes larger diameter, tubular, upper rods. The set adds strength and certainly adds rigidity. Both the A-arms and radius rods can be powder coated a number of colors to match the look of your RZR. 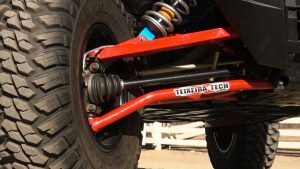 Teixeira Tech’s Trailing Arm Gusset Kit is designed to improve the durability of the RZR’s stock trailing arms, lower rear shock, and sway bar linkage mounts, at a small fraction of the price of purchasing aftermarket arms. Teixeira Tech’s Trailing Arm Gusset Kit is designed to improve the durability of the RZR’s stock trailing arms, lower rear shock, and sway bar linkage mounts, at a small fraction of the price of purchasing aftermarket arms. Constructed of mild steel and CNC machined for precision and accuracy, you can weld them to your stock trailing arms yourself, or send them to Teixeira and they will install them for you for a small fee. 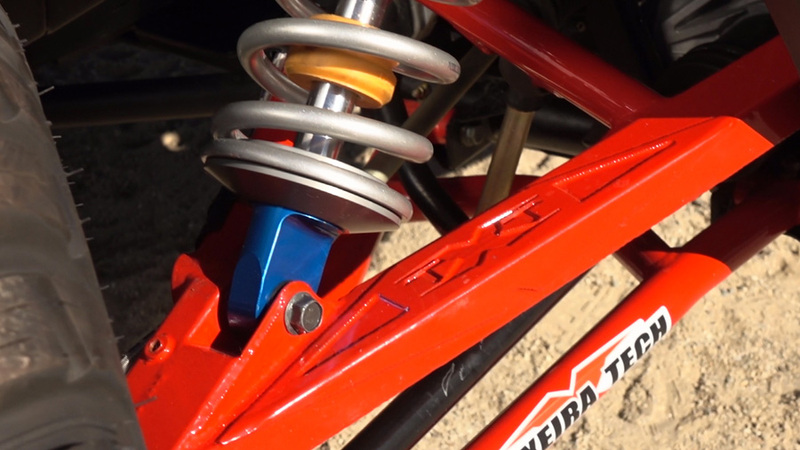 Teixeira Tech’s CNC machined, billet aluminum, sway bar linkages are designed to be lighter and stronger than stock. The stock links attach with bolts and rubber grommets at the eyelets compared to Teixeira’s high-quality American made FK Spherical bearings, which reduce flex. The one item we didn’t run on our car was Teixeira Tech’s rear chassis brace, which bolts up where your rear radius rods attach. Our roll cage tied in there, so we couldn’t run the brace, but it may be a worthwhile and affordable upgrade for your car. As we’ve seen in the past with Teixeira Tech’s XGC lower A-arms and Radius rods, the difference in performance is obvious the first time you cruise through a rock garden without plowing into anything. For the occasional rock that’s too big to fully clear, the Teixeira Tech parts hold up well to a beating. With a stock geometry, aside from the higher ground clearance, there isn’t an easily detectable difference in performance, until you bend a stock or inferior aftermarket chassis part and are left sitting, wishing you’d spent a little more money on quality parts. 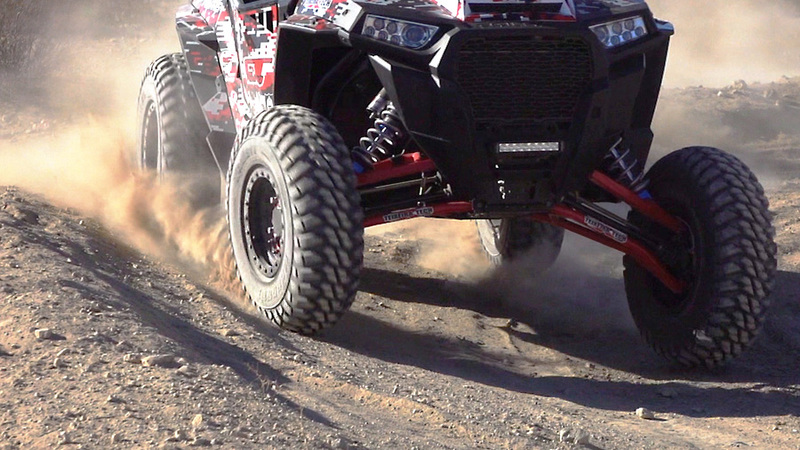 Weekends of hammering on our RZR turbo have proven Teixeira Tech chassis parts were well worth the investment. You’ll have a lot more fun when you can drive hard with less fear of breaking the car. the difference in performance is obvious the first time you cruise through a rock garden without plowing into anything. The US market being flooded with cheap Chinese ball joints has given ball joints a bad reputation as of late, compared to a uni-ball setup. We can honestly attest that we’ve yet to break a high-quality, Frap Ball Joint on any of our upgraded cars. Plus, Frap Ball Joints are sealed, greatly reducing wear by keeping water and dirt out. You can see current pricing on Teixeira Tech’s website, but we did some direct comparison shopping with a couple other leading brands building parts out of chromoly. Teixeira Tech’s A-arms are typically a bit less expensive while their XGC Radius Rods are typically a little more. In total, Teixeira’s parts cost a bit less, but more importantly, appear to be more overbuilt. Their lower radius is, in our opinion, perhaps the best in the business. If you asked us how to save some money on upgrading your RZR’s chassis for improved ground clearance and strength, we’d recommend simply buying high-quality chassis parts like the ones manufactured by Teixeira Tech in the first place, so you don’t waste your time and money on inferior products hoping to save a buck. There are plenty of Chinese side-by-side manufacturers out there selling less expensive and typically inferior machines. 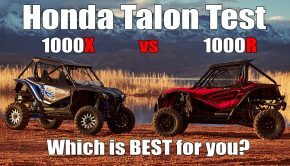 Most enthusiasts look past them in favor of a more expensive and higher quality machine like the Polaris RZR. Many of them then turn right around and add inferior chassis parts to their expensive cars because they’re less expensive. Unfortunately, this often results in wasted time, wasted money, and the purchasing of more parts. 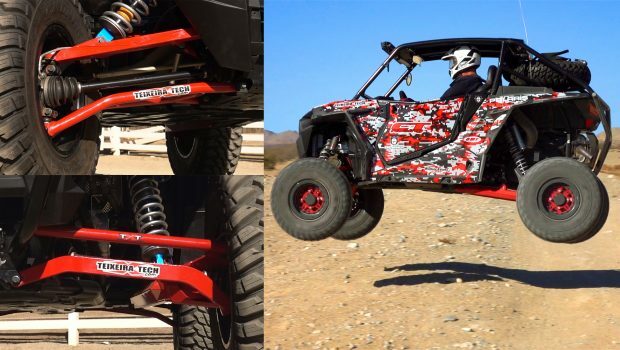 If you asked us how to save some money on upgrading your RZR’s chassis for improved ground clearance and strength, we’d recommend simply buying high-quality chassis parts like the ones manufactured by Teixeira Tech in the first place, so you don’t waste your time and money on inferior products hoping to save a buck. Summary: There are plenty of Chinese side-by-side manufacturers out there selling less expensive and typically inferior machines. 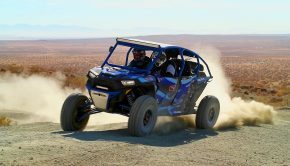 Most enthusiasts look past them in favor of a more expensive and higher quality machine like the Polaris RZR. Many of them then turn right around and add inferior chassis parts to their expensive cars because they’re less expensive. Unfortunately, this often results in wasted time, wasted money, and the purchasing of more parts. If you asked us how to save some money on upgrading your RZR’s chassis for improved ground clearance and strength, we’d recommend simply buying high-quality chassis parts like the ones manufactured by Teixeira Tech in the first place, so you don’t waste your time and money on inferior products hoping to save a buck.